Earn $8.39 in VIP credit (839 points)What's This? 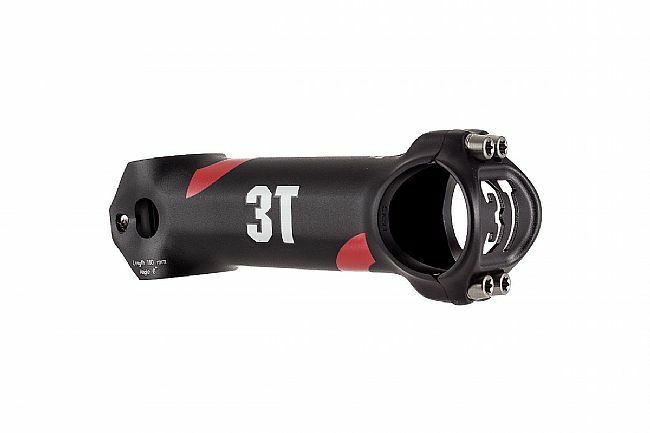 Arx, Latin for stronghold and bridge, is 3T’s race-proven design for the perfect connection between fork and handlebar, and suited to all cycling disciplines. With an alloy shaft and faceplate similar to the previous iteration originally released in 2007, this classic design has changed mostly aesthetically though there are some important differences. Torx T25 drive bolts have replaced the 4mm Allen bolts on the faceplate, and the steerer uses just a single Torx T30 drive bolt instead of two Allen bolts. The Arx II is available in 10mm incremental lengths from 70mm to 130mm and with the ability to flip the stem upside down, finding the perfect fit with the +/- 6 or +/- 17 degree angles is easy.